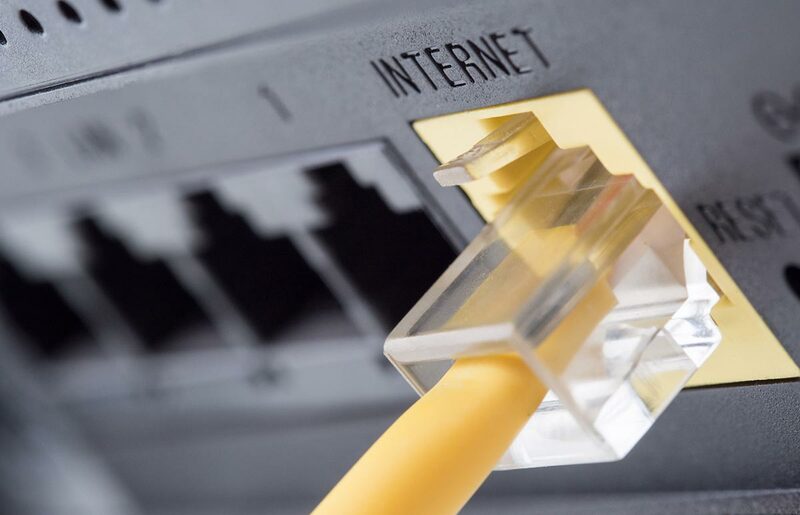 Check internet connected devices to verify if the network has the lost connection to the internet or if it is a single device. In the case of a single device issue, please powercycle that device and if the issue persists please contact the device manufacturer. If the issue is the internet connection to all of the devices, please ensure there are no Line of Sight issues by checking your satellite dish or fixed wireless receiver for any obstructions. For any connectivity issues, we recommend that you complete a powercycle of your Xplornet equipment first. To test your connection, directly connect your modem to the PC: Follow the procedure above, removing all devices between modem or power adapter and your PC. Connect the ethernet cable (cable with the rectangular ends) from your PC to the Xplornet modem or power adapter. If the power cycle steps above do not result in your Internet service being restored, or if you are unsure of which products you have, please contact Xplornet at 1-866-841-6001. On the Xplornet Satellite service, please verify the lights are on your specific modem. If the lights are not on, ensure that all cables are securely connected to the back of the modem and at the power adapter. If all cables are connected securely and the lights are not on, please call Xplornet technical support at 1-866-841-6001 for advanced troubleshooting. If any lights are not on, please check to ensure that the Ethernet cables are connected and that the power cable is secured. If all the cabling is correct, the next step is to power cycle the routing device by removing the power from the device for 30 seconds. Once the power has been reconnected, and the device has rebooted check that internet connectivity has been restored to the connected devices (this can take several minutes). If service is not restored please call Xplornet Technical Support at 1-866-841-6001 for advanced troubleshooting. On the Xplornet Fixed Wireless service, please verify that all cables are securely connected to the power adapter, and the device is powered. Please do not unplug the power adapter at this time. If the cables are secure on the power adapter, next examine the routing device and ensure that it is also receiving power. As each routing device is different, the devices manual or website will provide the specific details for your specific routing device. If any lights are missing or the wrong color, please check to ensure that Ethernet cables are installed correctly and that the power cable is connected. If all the cabling is correct, the next step is to powercycle the router by removing its power cable for 30 seconds. After power has been reconnected, and the device has rebooted check that the internet has been restored to connected devices (this can take several minutes).